I’ve enjoyed two Xavier Dolan films, I Killed My Mother and Laurence Anyways, both exhibiting real talent from such a young director. Dolan is French-Canadian and wrote/directed/starred in his film film at the age of 20. Since then he has produced nothing but solid cinema, and I can’t imagine where his genius might be taking him. From what I’ve seen of his work, he deals exclusively in exhausting emotion, forcing his characters to pour their entire souls into their dialogue & actions, creating movies that are about how intensely it feels to feel. Tom at the Farm is a bit different in that it’s a thriller, a story based around violence and fear. But the patented Dolan mood appears here as well, allowing audiences to watch a basic story drown itself in emotion until it becomes something so much greater. Tom is an editor from a large city whose boyfriend has just died. The funeral is to be held in a small town in the country, and so Tom travels there to pay his respects. But the farm at which his boyfriend grew up and the family that shaped his life are not what Tom had expected. Agathe, the mother, doesn’t know that her son was gay, believing that he had a relationship with the woman named Sarah. These lies were perpetuated by the brother, Francis, a psychopathic farmer whose anger is only outshone by his despise for humanity. He forces Tom to stay on the farm, to make up messages from Sarah, and to continue the charade that makes his mother so very happy. Tom begins by feeling trapped, but slowly finds himself losing the will to fight back, accepting the fact the Francis needs him and that this hell is just what he deserves. It’s a complicated story buried beneath a simple plot. 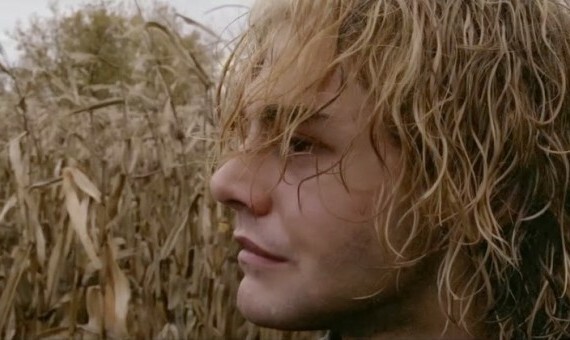 Tom travels to the farm, is bullied by Francis, and stopped from leaving. If it were a typical thriller, the development would stop there and an action-packed climax would follow. But this is a Dolan film; it can’t be that emotionally simple. And so we see Tom begin to melt into the scenery that he finds himself a part of, give in to the demands of an insane man, and lose his independence voluntarily. Figuring out why is our job, and not by uncovering cheesy secrets, but by attempting to put ourselves in Tom’s shoes and understand his despair on a deeper, darker level. Not a task or a film for everyone, as Dolan’s directing style is intense to say the least. But luckily he’s also a good actor, surrounded himself with a few excellent performers, and successfully developed a frightening film that’s terrifying in what it says more than in what it does.